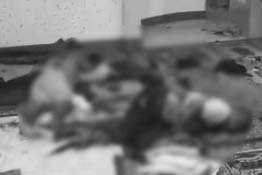 ZAMBOANGA CITY — Two people were killed while three others were wounded in a grenade explosion shortly after midnight at a mosque in an east coast barangay of this city, police disclosed Wednesday. Senior Supt. Thomas Joseph Martir, Zamboanga City Police Office (ZCPO) director, disclosed that the incident happened at the Maharlika mosque in Sitio Logoy Diutay, Barangay Talon-Talon, this city at about 12:20 a.m. Wednesday. Martir identified the two fatalities as Hadji Sattal Bato, 47, of Barangay Marketsite, Isabela City; and, Rex Habil, 46, a councilor in Barangay Matatag, Lamitan City. Martir said wounded were Palson Asgali, 44; Alnizkar Sabbaha, 30; and Jikilani Albani, 60. They were rushed to the hospital. He said investigation showed the victims, who are members of Tablig, were asleep inside the mosque when an unidentified person tossed a grenade.